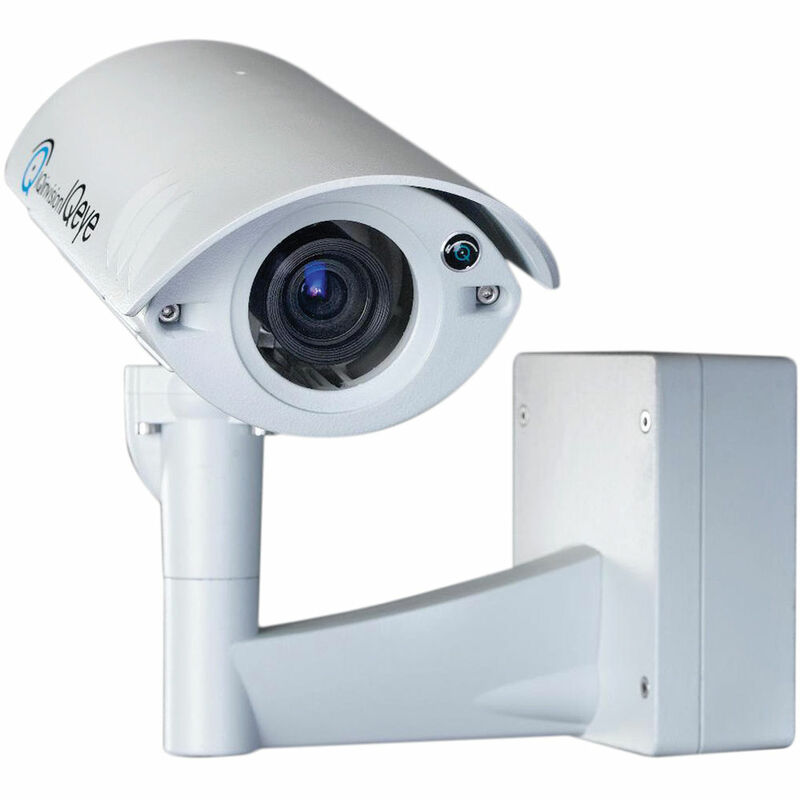 The IQinVision IQ861NE-V16 IQeye Sentinel Outdoor IP Camera is a full featured, multi-megapixel, H.264 main profile, all-weather camera. With support for up to 1280 x 720 resolutions, this advanced camera provides multiple, individually configured H.264 and simultaneous MJPEG streams. This camera is designed with the installer in mind and its innovative features reduce installation costs and time. The remote back focus reduces installation time using the One-Touch-Focus feature for sharp images and allows fine focus adjustments from a remote computer, eliminating the need for manual focus adjustments at the camera site. The Ethernet terminal punch-down eliminates the need to terminate with an RJ45 connector, and the steel camera hangers allow the installer to work with both hands. In addition, the rugged aluminum construction and IP66 weather rating allow the camera to be installed in almost any harsh environment. With a power consumption of less than 8 W, this camera can be fully operational using only Power over Ethernet. Does the arm come with the camera? The arm comes with the camera.